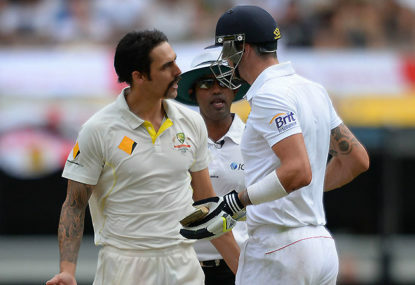 With the Ashes long gone, and nothing more to gain apart from morale and respect, Australia must use the 50-over games following the fifth Test to restore some confidence and positivity. Fragile batting has been a problem for this Australian side for a number of years now, and we have seen the problem highlighted once again in this Ashes series. Birmingham’s scenic Edgbaston immediately makes me think of that unbelievable second Test of possibly the greatest series of all time, the 2005 Ashes series. I’m sure we all remember when Johnny Bairstow burst onto the Ashes scene in the 2013 series playing primarily as a batsman, and then in the final two Tests of the following series in Australia as a wicketkeeper/batsman. 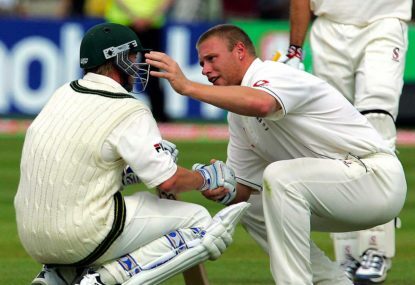 Heading into the fifth Ashes chapter within just six years, I have taken a look at six big talking points in question with only a few days left before the first ball in Cardiff. A fairly young Sri Lankan side has just come off a shattering 10-wicket defeat to Pakistan on home soil, in Galle. Why isn't Shivnarine Chanderpaul playing against the Aussies? Shivnarine Chanderpaul has been excluded from the West Indies Test squad to take on the Australians in the coming weeks – an omission as puzzling as the great man’s batting technique. The current fixture and fixturing system is a topic of constant complaint. Let’s fix this issue, and perhaps a few others in the process. We talk and talk about some of the best in the game, like Gary Ablett and Lance Franklin. 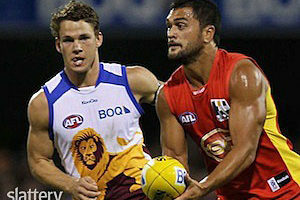 And in recent times, we have talked a lot about which of the AFL’s stars are overrated. The Tigers have stuttered their way to a 2-4 start to the 2014 season. It doesn’t get any easier with Geelong this week, and despite a string of winnable games after their bye the Tigers are facing some serious heat. I am staggered at the negativity being directed towards AFL at the moment. Round 3: will the hoodoos be broken? Heading into Round 3 of the home-and-away season, certain sides will be out to break their hoodoos. We know how important the big men are in the modern AFL. Their ability to be agile, durable and consistent goal-kickers is needed now more than ever. Scott Watters sadly conceded last season his side were officially in a rebuilding phase. 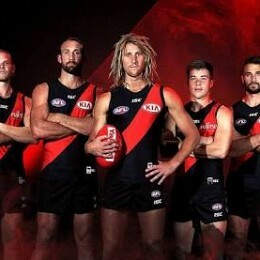 And even as Alan Richardson’s tenure begins, St Kilda still are. Heading into the season, I have identified 15 games during the home-and-away season that will be the highlights of the season. For their own reasons, these are the contests not to be missed in 2014. Collingwood captain Scott Pendlebury suggested yesterday that he would be open to a nighttime AFL grand final after attending the Super Bowl. Last week the AFL hit us with their latest trick out of the bag – player surnames on the back of jumpers. I know both he and Handscomb are better than just part-time keepers, but would they be unwilling to risk anything other than a full-time gloveman in the World Cup? Bancroft’s form could also present an interesting conundrum ahead of the Ashes, if he can find big runs against the red ball and somebody already with a placehold utterly fails in the meantime. Definitely a great problem to have. As long as the all-out attack/total cricket approach etc thing doesn’t bring them unstuck at the worst time – because it obviously won’t always work. They could find themselves 5-60 just as easy as 5-380 for mine. If all things click though, I could see a deep batting line-up with such immense power going all the way at home. Burns not making the squad would be a travesty – unless between now and then somebody else from outside like Bancroft makes such a dramatic case and Burns utterly fails at every attempt. I can understand going with Harris in the XI initially, but still think something really clicks with the Warner/Burns combo, and agree with those worrying that Harris/Warner feels a bit too similar. Having said that, Harris deserves it through sheer FC runs, and if he can resist from the wide slashes outside off early on, he will probably do well. Oh and the OTHER thing I cannot get past, – as much as Abbott had a terrific season – is how unlucky any of Copeland, Boland and Bird must feel. I am fearing the same. They simply have to take minimum one of the Siddle/Copeland/Sayers/Bird/Worrall types. The sheer pace thing has just never worked as has been mentioned. 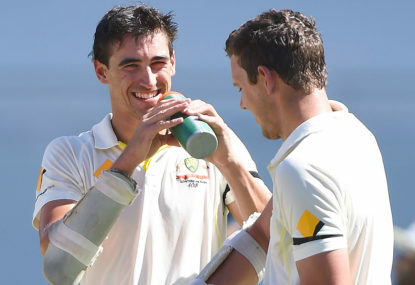 You only have to look as far as the last UK trip in 2015 – the Starc/Johnson/Hazlewood combination was very dangerous on its day, but couldn’t win them the series. 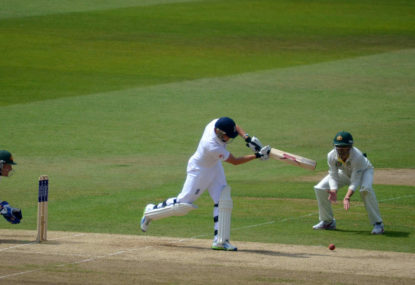 Enter Siddle for a single test at The Oval where he dominates. And without Turner they lack a back-up ‘hitter’ type in the event one of Maxi/Stoinis are injured or etc. 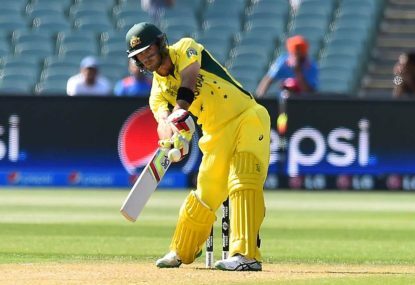 Handscomb’s form was superb, and he’s an incredibly unlucky victim of circumstance. Marsh’s was slightly better you might say, but even then he’s probably the reserve batsman in this group. They may have wanted a little more variety with the quicks too; not withstanding that Hazlewood would have still been an astute selection. Would have made perfect sense, and any of those mentioned could’ve had a Paine-like impact as leaders. May have been the ideal second chance for some too, one they’ll now never get. 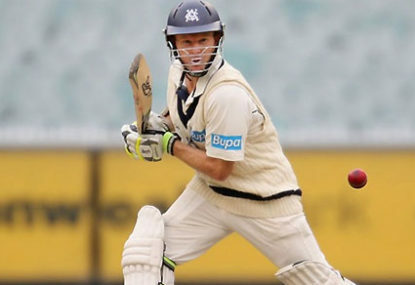 What now for Cameron White? Meanwhile 36 from Matt Renshaw for Kent (div 1) and 33 for new Durham skipper Cam Bancroft (div 2) – which came after 159 balls – he loves to bat time. Glenn Maxwell yet to bat for Lancashire. No idea about his position at state level – but can’t imagine too many more games for Victoria. At the Renegades, Shaun Marsh comes in and effectively takes his place. I wonder if another BBL side will throw him a lifeline? I think we forget easily that M.Marsh has a respectable ODI record and might even add a bit more than Stoinis at present; at least he can go harder earlier. Is Stoinis still in Australia’s best one day XI? I think he would be if batting up the order. But remaining at six or lower, I’m not sure is in the best interests of the XI, as his tendency to work into innings gradually makes any of Maxwell, Turner, M.Marsh, Wade or even Warner down the order (won’t happen) more suitable options to 6/7. Do we need to win the first couple of games to unlock other kits? Exactly – when it works (often), they will win most matches they play with such firepower. Having said that, this strategy is a bit of a double-edged sword, in that they could be 5-60 just as easily as they are 5-350. If the latter scenario unfolds, they will be praying it happens early in the piece where second chances remain. He finds players he likes, and becomes infatuated with them. This is not unlike obsessively campaigning for Stoinis’ test selection. Who should be Australia’s back-up Ashes keeper? Head still has a solid ODI record; if anything he just fell out of form/favour in the home ODI series against the South Africans, which prompted a wholesale – and needed – change in approach and selection. Never going to be a number six but doesn’t need to be either – an almost perfect number eight. Should he be named in the squad I think it’d be unfair to consider him a left-field or ‘bolter’ type selection too, because it has been earned through consistent, dominant performances. Very possible, but he’s also a changed man since those times you might say. Unless of course it becomes personal in the manner we saw targeting his family/the Hughes situation, where you can understand why he would react with hostility. Tend to agree Chris in that realistically you probably wouldn’t want him lower than 5. I do think however if you’re picking one reserve bat in the squad, he has the best overall mix of experience, form and white-ball ability. S.Marsh the ideal reserve batsman I think – despite being very unlucky; could fill any role in the top six if realistically needed. Because it’s the first? squad officially released I think, NZ play Australia at Lords on June 29, and here we are discussing Australia’s squad – I think it’s relevant enough.